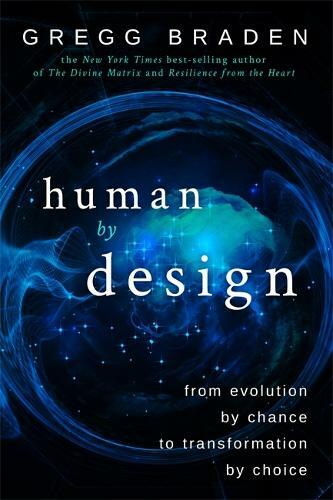 Human by Design invites you on a journey beyond Darwin's theory of evolution, beginning with the fact that we exist as we do, even more empowered, and more connected with ourselves and the world, than scientists have believed possible. In one of the great ironies of the modern world, the science that was expected to solve life's mysteries has done just the opposite. New discoveries have led to more unanswered questions, created deeper mysteries, and brought us to the brink of forbidden territory when it comes to explaining our origin and existence. These discoveries reveal the following facts: - Fact 1. Our origin-Modern humans appeared suddenly on earth approximately 200,000 years ago, with the advanced brain, nervous system, and capabilities that set them apart from all other known forms of life already developed, rather than having developed slowly and gradually over a long period of time. - Fact 2. Missing physical evidence-The relationships shown on the conventional tree of human evolution are speculative connections only. While they are believed to exist, a 150-year search has failed to produce the physical evidence that confirms the relationships shown on the evolutionary family tree. - Fact 3. New DNA evidence-The comparison of DNA between ancient Neanderthals, previously thought to be our ancestors, and early humans tells us that we did not descend from the Neanderthals. - Fact 4. A rare DNA fusion-Advanced genome analysis reveals that the DNA that sets us apart from other primates, including in our advanced brain and nervous system, is the result of an ancient and precise fusion of genes occurring in a way that suggests something beyond evolution made our humanness possible. - Fact 5. Our extraordinary abilities-We are born with the capacity to self-heal, to self-regulate longevity, to activate an enhanced immune response, and to experience deep intuition, sympathy, empathy, and, ultimately, compassion-and to do each of these on demand. In this book, New York Times best-selling author and 2017 Templeton Award nominee Gregg Braden crosses the traditional boundaries of science and spirituality to answer the timeless question at the core of our existence-Who are we?-and to reveal science-based techniques that awaken our uniquely human experiences of deep intuition, precognition, advanced states of self-healing, and much more! Beyond any reasonable doubt, Human by Design reveals that we're not what we've been told, and much more than we've ever imagined.